The Boston Department of Transportation is working with the residents of Grove Street to make improvements to the roadways. These improvements are going to be used not only to improve traffic safety, but will focus on pedestrian safety as well. “It’s important for residents to feel safe using neighborhood streets, and they should not have to be worried about their personal safety due to speeding cars and trucks,” said Boston Mayor Thomas M. Menino. 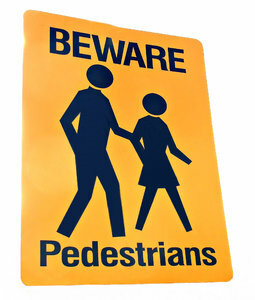 Our Boston pedestrian accident lawyers understand the appeal of walking in Boston. Keeping areas like West Roxbury pedestrian friendly is equally important. Earlier this year, residents in the area went to a City Council Hearing to discuss “Traffic Calming.” This meeting was headed by Matt O’Malley, the Boston City Councilor. During this meeting, one local resident spoke up about his concerns about the dangerous traffic on Grove Street, particularly the part between Washington Street and the Dedham line. Those voicing concerns contend that traffic is just too heavy and it’s traveling too fast! Residents were also concerned with the trucking traffic in the area. BTD Commissioner Thomas J. Tinlin says that he is happy to announce that the new plan will help to fix all of these issues. After the meeting, officials with the BTD’s Engineering Division completed a study of the area. They concluded that there was a 24-hour period back in March in which there were close to 1,000 vehicles that passed through a residential roadway. Even worse, more than 83 percent of the vehicles that passed through were exceeding the 30 miles per hour speed limit. To help to put an end to this, there will be a number of traffic safety measures that will be executed in the area. These are measures that have been proven to reduce the risks of pedestrian accidents, injuries and fatalities. -There will be two crosswalks installed in the area. -There will be four pedestrian ramps, equipped with signs, that will be installed at these new crosswalks. -There will be two more speed limit signs installed on Grove Street. One will direct northbound traffic and one will direct southbound traffic. -Officials will be laying down new pavement marking to help drivers to better see the 11 foot travel lanes that are in each direction. The project to incorporate both pedestrian and vehicular traffic on Grove Street recently kicked off. Officials believe that the project will wrap up by mid-October. Officials will continue to monitor the area and will make adjustments to the project as needed. Before, during and after this project, we ask drivers to on their best behavior in this area and keep an extra watchful eye out for pedestrians. Traffic of all kinds needs to work together to help make our city safe for all. If you or someone you love has been injured or killed in an accident, contact Boston Car Accident Lawyer Jeffrey S. Glassman to schedule a free and confidential appointment to discuss your rights. Call 1-877-617-5333.